I could sit on my front porch for an hour and see maybe one car pass down my street. There's no traffic through here. My guess it is someone who lives in my neighborhood that hit my cat, and they didn't even stop. I can only hope that maybe it was so quick they didn't notice. And I hope Perri didn't hurt for long. My heart shattered into a thousand pieces when Perriwinkle died. He was just a baby and so full of life and energy. He was smart and special. He added a whole new spin to the household with his kitten antics. I know, he was just a cat, but he was more than that to me and MY cat and a big part of our family. I only let him outside because he loved playing in the bushes. I made sure he was inside before we went anywhere so he wouldn't be left out alone. We were outside putting up Christmas lights and how I wish we would have brought him inside when we were done. There are some very kind people in this world though. Yesterday, I got a message on Facebook that just blew me away. You see, Perriwinkle was a rescue kitten. Someone was going to drown him along with his two siblings and a friend of mine took them in. I got Perri from her, someone adopted one of the others, and she kept kitten number three and named her Gumbeaux. One of her other cats did NOT like Gumbeaux at all, even after all these months they were not getting along. Today, she gave Gumbeaux to me. I know I can't replace Perriwinkle. There will never be another just like him. My heart still aches for him. But I can at least welcome his sister into our family and have part of him here. Maybe she can help heal my broken heart and fill the empty spot in our home. She is a little unsure of us as we are of her, but I hope she will come around and let us love her. Maybe I was meant to have her, who knows. The jury is still out on a definite name, but Valerie wants to call her Bella or KitCat. I think Bella will win. And I can't leave out my dear Sassy! I know I have a lot to be thankful for. I have a good husband. Two wonderful daughters. Our good health. Great friends. A beautiful home that is one hundred percent ours. A happy family. Today, on Thanksgiving, I am thankful for the good life we have. Today was the first Thanksgiving at our house in... years. Many months ago, when the first inkling of holiday plans entered my thoughts, I had this idea we'd host a small happy Thanksgiving gathering. I knew just who we'd invite and had it all planned out in my head. Then my Dad fell ill.... and you know the rest. There were too many empty chairs at our table today. Then.... tonight there came a knock at the door. An awful knock at the door. My sweet Perriwinkle is no more. My smart, pretty, cuddly, lively blue eyed Perri who came when I called him and followed my every step and wanted to sleep cheek to cheek. Perri who never. ever. crossed the street. Yet he did... and now there's another empty space in our home. One thing I have learned is that in a crisis, you definitely find out who your real friends are. I am forever grateful to my friends who stood by me and helped in some way. Even more amazing, people I barely knew showed sincere concern for my family. Others went above and beyond, and I will never forget that. Then on the flip side, sadly, some so called friends did nothing. Said nothing. Like nothing was happening. 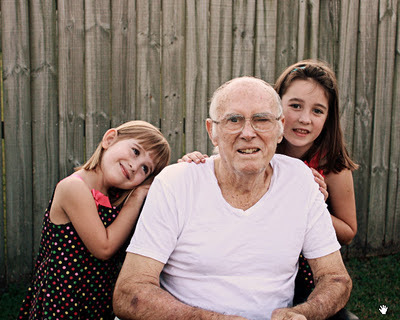 Some who knew my Dad very well completely ignored his illness and passing. And yes, they are aware of it. But chose not to say a word to me. I will never forget that either. Well, I received a code for 25 Christmas cards for writing about Shutterfly. Guess what?? I already had won another, so I don't really need this one. So, Readers... welcome to my first giveaway!!! You will receive via email a code to use at Shutterfly.com for 25 free photo cards. I believe you will have to pay shipping, which is around $6.00. * and tell me where do you usually get cards, photos, photo gifts, etc. printed. That's it!!! Good Luck Everyone!!! Only one entry per person please! I will choose a random winner on November 25th - Black Friday!! Most of you know I spend a lot of time at the gym. About 90 minutes most mornings. It would be every morning, but lately life has been in the way. I was recently given the opportunity through Mom Bloggers Club to try out a pair of Zaggora HotPants for free. HotPants are sport shorts that contain bio-ceramic technology that will enable reflection of body generated heat back to the tissue and help you lose weight. I've only had mine for a few days. I am glad I ordered a size medium. I almost went with the small, but the medium is a good fit. They are like long, foam bike shorts. The only thing I find uncomfortable is the high waist, so I rolled mine down some. I have a short torso, so that is probably why it is too high for me. I haven't worn them to the gym yet. I may give it a try. The shorts are black, but there is a bright yellow "hot pants" logo on the front of the left leg. Not sure about wearing them to the gym as I'm sure to get a few comments!! I've worn them around the house while cleaning and such. They seem fairly comfortable overall. I'm a little skeptical if they will make a difference or not, but it's worth a try! Check out Zaggora's site for more info and find them on Facebook as well! *** Disclosure! I received a free pair of HotPants from Zaggora to review. These opinions are my own and not influenced by any form of compensation. It's been quiet around here. Busy, but quiet over all. Clint's back to his "regular" work schedule. The girls are OK. Veronica seems to be coping better now. Val has had some outbursts, which I guess is normal. They are dealing with a lot of new emotions. My Dad's bedroom is now an office again. There's still some things in the dining room, but we'll take care of that next weekend when the Christmas stuff goes up. I got rid of all of Dad's personal items we had here. At some point, I have to tackle his house. I have no idea how. There's 42 years of stuff in there to sort through. I will cross that bridge when I come to it. We brought over a few key pieces of furniture from my Dad's house that we can make use of and I wanted to keep. We'll be getting rid of some things at our house that serve no real purpose except to hold clutter. Looking forward to that. Clutter with out a purpose makes me unhappy. I also brought home my Mom's every day Correlle dishes, her wedding china, and her good silverware. Most of the china is still sealed in plastic in the box it came in. The silverware was tucked away in a ziploc bag. I've already mixed them in with our daily dishes and I am going to use it all. Today was grandparent's day at Veronica's school. I know my Dad would have loved to have been there. He got a kick out of things like that. I can picture him walking in wearing his nicest plaid shirt, and smiling as Veronica excitedly told everyone that her Poppi was here! Then, sitting down with Roni to have milk and a doughnut. I went instead since I didn't want Veronica to have no visitor this day. Not this soon. She excitedly told everyone, "My momma's here!!" And we sat and had a snack together. Everyone else in her class had a grandparent to visit them. I really like the tri-fold design. A picture on the front, and a greeting in the middle, and ending with another picture. It would be perfect for me since I often have trouble choosing just one photo for Christmas cards!! The colors are very "holiday" as well. I like that it will stand on its own also for an easy display on a fireplace, or in our case, the piano. 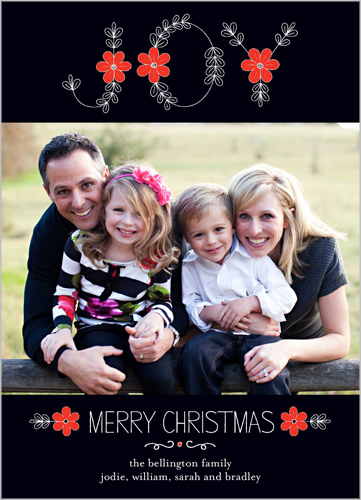 Be sure to check out Tiny Prints for awesome Christmas cards!! **I received 50 Christmas Cards for writing this post. Dad had been telling me he was tired for a while. Sleepy all the time. I'm not sure when it started, but he didn't mention it until the end of summer. If you know my Dad, he wasn't one to complain. Ever. I still really didn't think much of it and neither did he. Everybody is tired, right? He still drove here to visit, came with us to New Orleans, and kept up with the kids. One Saturday, he was having a really bad day so we went over to his house and convinced him to come back home with us. On the morning of Sunday, September 18, he asked to go to the hospital. That was HUGE. The ER doctor diagnosed him with leukemia with in a few hours. The consensus was due to his age, the big chemo at Tulane wasn't an option. Dad's best bet was comfort care, blood products, medicine, and to treat symptoms. He had a team of doctors - general practitioner, oncologist, cardiologist, nephrologist, along with nurses and physical therapists. During the hospital stay, Clint dumped the contents of his office into our dining room. He brought over all of Dad's things - bed, dresser, clothing, TV, computer, etc. Everything to make his new room feel like home. After 8 days in the hospital, lots of tests, and medicine, Dad came home on September 25. "I almost feel good enough to go back to my house," he said. Of course he knew he couldn't. Our house was home now. I told him it was good to have him "back." Home health began immediately and came almost daily. They checked his vitals and did blood work. He was well enough to attend Valerie's student of the month ceremony. The medicines had worked and although still tired, he didn't feel too bad over all. We knew it was a temporary fix, but it was better than nothing. On October 6th, he woke me at 4:30am banging on the wall. He had experienced a violent shaking episode that lasted a few hours. His fever was 102. He was weak and just didn't seem right. A call to a home health nurse led us back to the E.R. at 5:30am. They tried to identify if he had an infection, but never did. His white count was 103,000 (normal range is 6,000-10,000.) More tests, more medicines, more blood products. Only this time, they did not work so well. Dad was short of breath, very weak, and mildly disoriented at times. His vitals were good. His blood counts were in an ok range, yet it was a struggle to turn over in bed and even harder to take a few steps, even with a walker. On the 9th day upon the advice of his doctor, hospice visited us. The leukemia was winning. And we came home. He spent most of his last week in his bedroom, coming out only to join us at the table for dinner once. I looked after him, asked over and over if I could get him anything. Mostly all he wanted was water. I cooked and tried to get him to eat. I sat with him on the edge of the bed every day and put my head on his shoulder while we talked about old times. We watched parts of old movies on AMC. We knew the end was coming, but I never dreamed it would be so soon. Even the hospice nurse had said he had "a while.". We helped him to bed as usual on Friday night. I sat next to him on the bed and Clint stood in the doorway and we talked to him a bit about old times. Dad was having trouble sitting up, yet he wanted to sit and listen to us some more. Maybe he knew, but for some reason he didn't want to lay down. He didn't know why, "I just don't want to," he said. Saturday morning, he was unable to speak or open his eyes. Just 34 days after his initial diagnosis, just 8 days after he came home under hospice care, just before 9pm on October 22, he died in that bedroom. I am so glad we took these pictures on the day that we did. It was the last time he left the house; the last time he went outside. Shutterfly is awesome. They are my usual 'go to' for most photo projects. 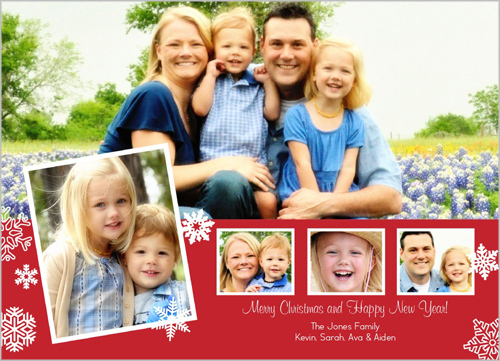 Last year, I used Shutterfly for Christmas cards and they were amazing. I had such a hard time choosing from the designs offered that I made four different cards. They were printed on heavy card stock and were very professional. I love that you can use a single photo or choose from multi photo layouts. So many to choose from!!! I've also used Shutterfly for prints, photo books, calendars, and t-shirts. I'm always very pleased with my purchases!! 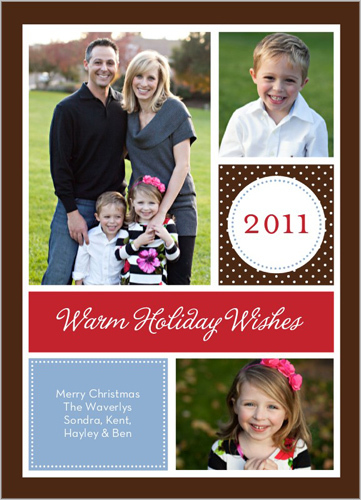 This year, Shutterfly has even more Christmas and holiday card designs available. Be sure to check out Shutterfly for a great selection of cards, party invitations, address labels, and photo gifts!! And address lables to match!! *** I received 25 free photo cards for writing this post. The girls had a great Halloween. And oh my, the candy we have around here is ridiculous!! Friday night we met friends at the Halloween parade in town. Both girls caught a big bag of candy. Saturday, we went ToT at Sam's then to Halloween story time at the library. Candy. Monday, they both had Halloween treats given out at school. Big bags of candy. Then it was "real" ToT time. Val and Roni were SO excited. We got together with our awesome neighbors and some friends came over too. The neighbors cooked hot dogs, chili, and had chips and cake. We walked the entire neighborhood ToT-ing. All was well until Veronica stumbled and fell, tearing her pants and scraping her knee. After that she refused to walk and wanted to be chauffeured in the wagon. I think she got the sorry vote because her bag was the fullest!! It was a great night though. Probably one of the best Halloween's we have had in a while. And yours truly for good measure.